Do you Believe Madonna Purposely Disrespected the Philippine Flag? What's up with Madonna getting all that flak from the National Historical Commission of the Philippines (NHCP) and some netizens. NHCP is set to study possible violations committed during Madonna's 'Rebel Heart' concert in Manila. 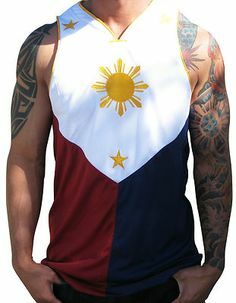 I believe Madonna's use of the Philippine Flag as a cape was meant to honor the country. She did the same thing at her concerts in other countries. Her performances were literally almost the same except for a few modifications based on the country she's performing at and the requests/reactions of the audience. The Philippine authorities have also suggested the concert organizer may be sanctioned over the Flag incident. "Malacañang is keen on banning Grammy award winner and Queen of Pop Madonna from performing in the Philippines for disrespecting the Philippine flag in her concert," said Sec. Sonny Coloma from the Presidential Communications Operations Office. The singer and concert producers could be held liable for the violation even if they were unaware of the law. She also sparked ire from the Catholic Bishops’ Conference of the Philippines (CBCP) after the singer somehow “disrespected” religious symbols as well. Cavorting on a giant cross-shaped stage during her two-nights concert on February 24 and 25, 2016 was never an easy sight for religious leaders and their loyal followers. Catholic officials even encouraged fans not to show up to Madonna's concert. But how many listened to them? I've also heard there are also possible petitions to ban Madonna from performing in the country again. There are rumors saying she also allowed the flag to touch the stage floor, which is said to be another violation. Meanwhile, when our own use the Philippine flag for almost similar purposes (as props, decorations, or to express patriotism), there's not much noise heard from them. Can't you people understand the difference, or similarity, of what they want to achieve. 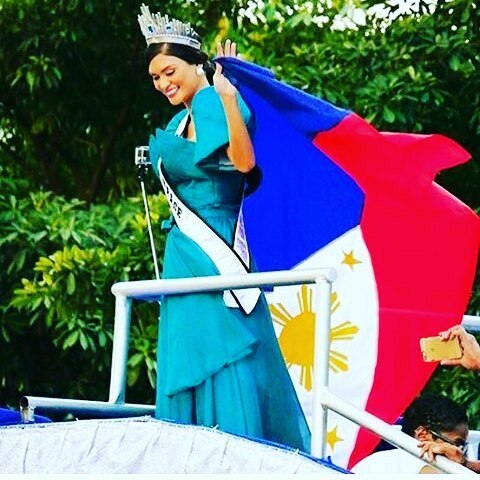 No one wants to mock the Philippine flag, or even the country for that matter. The first thing that should go in one's mind is that they are proudly using it to give honor to the country and acknowledge their love for the Philippines. Though the daring image of some models using a Philippine flag, or its image, as props to partially cover their naked bodies earned criticism online as netizens considered them as profanity, the noise were not as big as what is happening to Madonna. Madonna has never been one to hold back from expressing herself. I'm sure that the 57-year-old entertainer's use of the Philippine flag was meant to honor the 30th anniversary of the EDSA People Power Revolution in the second night of The Rebel Heart Tour concert in Manila. It was said she dedicated the song "Crazy for You" for the occasion. I don't know what the song has to do with the People Power Revolution, but I am sure it is one of, if not, the best selling Madonna song in the Philippines. It was the first single from her 1985 soundtrack album — a year before the EDSA Revolution. Personally, I don't find anything wrong with any of these usage. The use of the Philippine flag images should be taken positively. In my case, I would only use the image if I feel I want to proudly declare I am a Filipino and that I love the Philippines.